Oh and as you might see I went to the hairdresser for a little refresh of my cut, just in case you were wondering. Right now I'm about to head to Luxembourg city for some shopping so if I should happen to find something nice you can expect it up on the blog tomorrow. What are you guys up to today? Hi Carmen, love this type of style, reminds me of a Burberry campaign, its preppy done with flair, thats a great trench coat and try chic layering. Hi Carmen.i like your outfit and I think your trench is very cute!! The trench coat is su perfect! Du siehst so absolut toll aus auf den Bildern! Ich liebe die Kombi aus dem Hammer Mantel und den Boots! Toll toll toll! 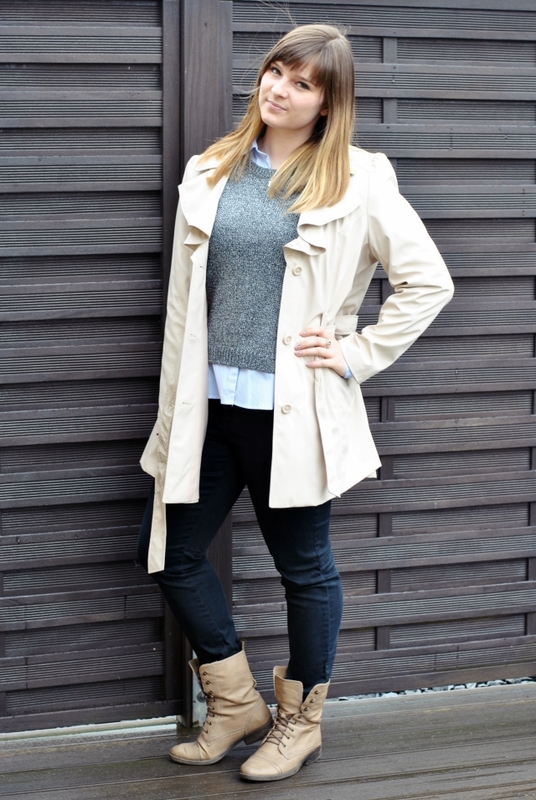 Der Trench ist toll und die Schuhe mag ich auch total gerne! Very nice trench and I like the colour of the shoes!